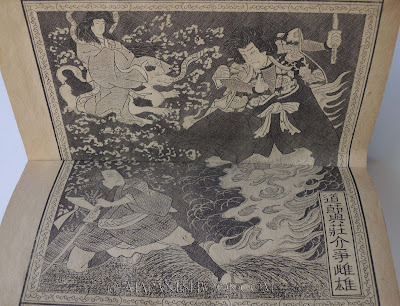 Description — 12mo (17.5 x 11.5 x 1 cm), (20) p. entirely engraved (copper plates), one double gatefold spread, Japanese binding, pictorial softcover. 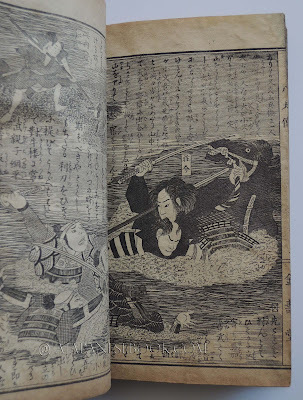 In-plate text, in Japanese (with furigana). 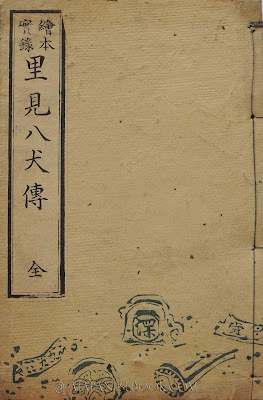 État / Condition — VG (light wear to cover, light browning). 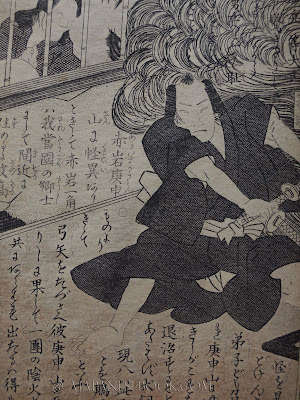 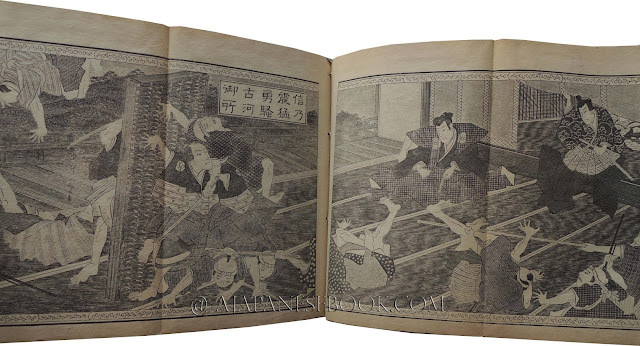 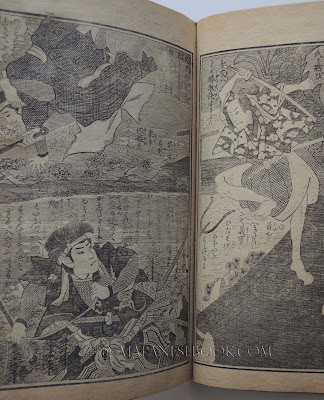 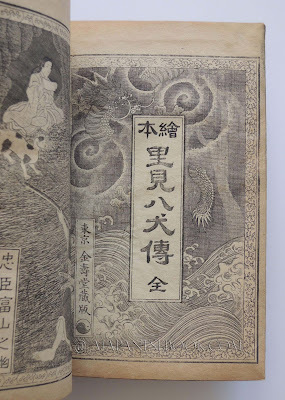 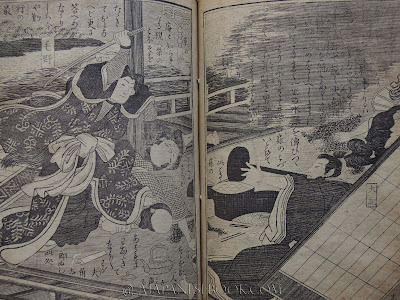 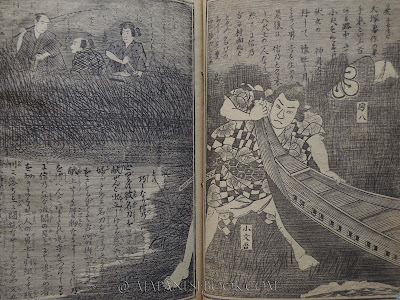 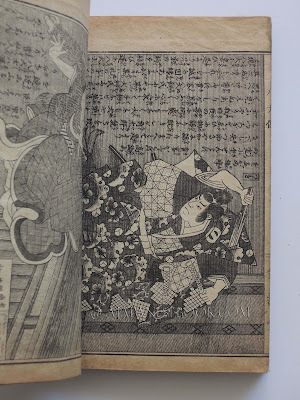 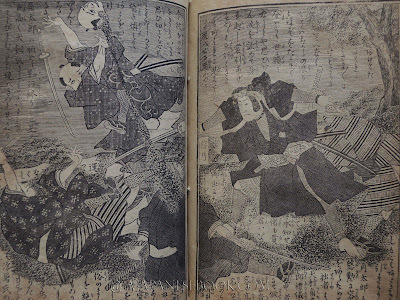 Remarques & avis / Review — The original Nansou Satomi Hakkenden is a long-run novel by KYOKUTEI Bakin (TAKIZAWA Okikuni), published between 1814 and 1842, in 106 volumes!). 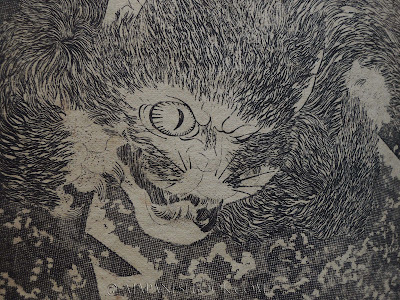 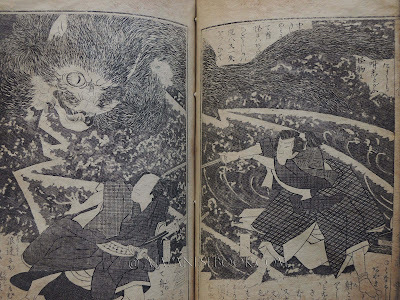 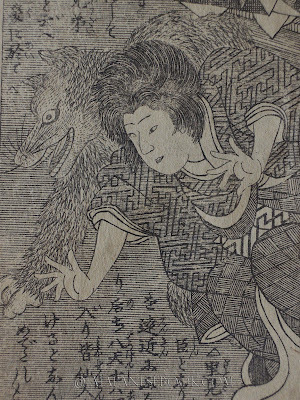 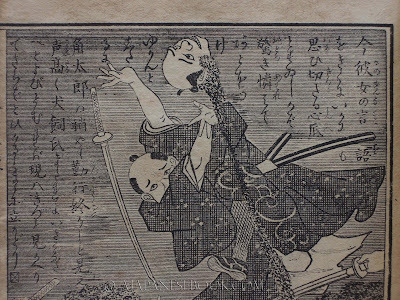 Here is a wonderful, fully engraved and fully illustrated version, complete in one volume, full of samurai katana battles, cat- and fox-monsters, and decapitations!